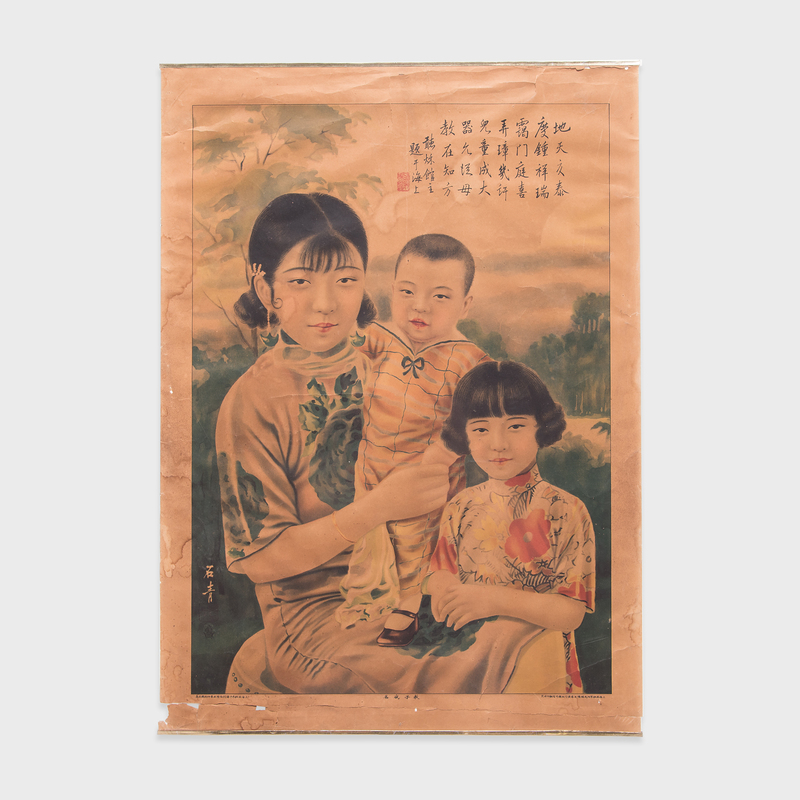 This poster from the 1920s melds the meticulous detail of traditional Chinese painting with the craft of color lithography. 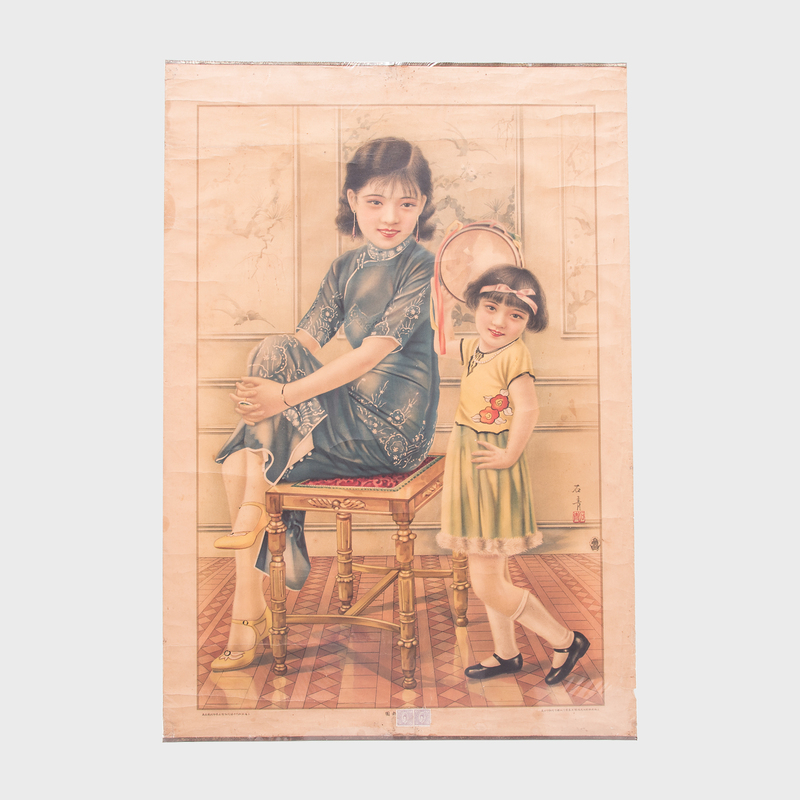 The poster depicts two young girls gathered by an ornate stool, dressed in traditional qipaos, but with Western hairstyles and shoes. 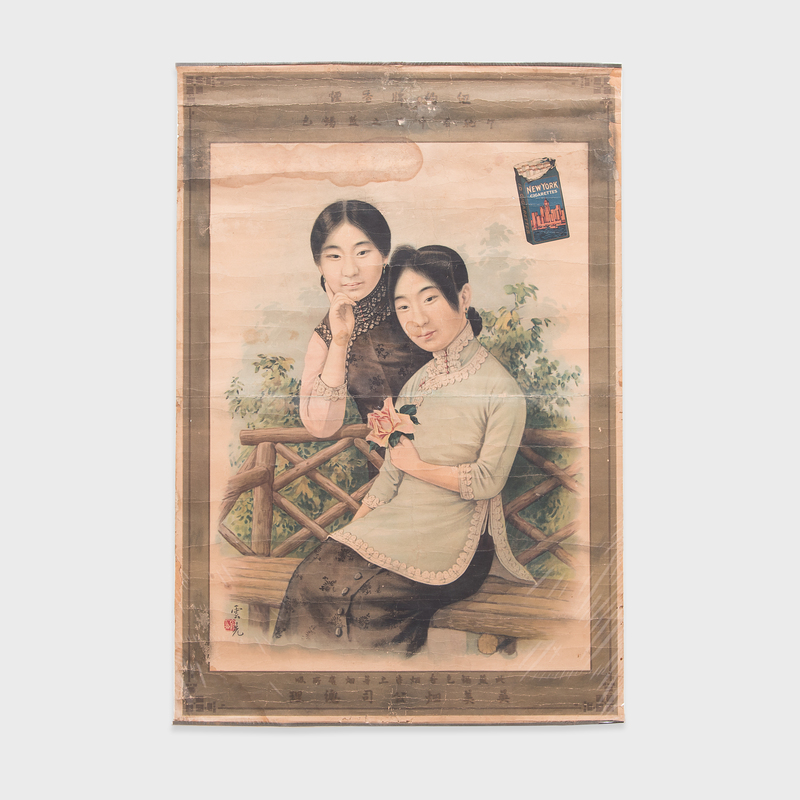 The wall behind them is paneled with scenes painted in the style of traditional landscape calligraphy. 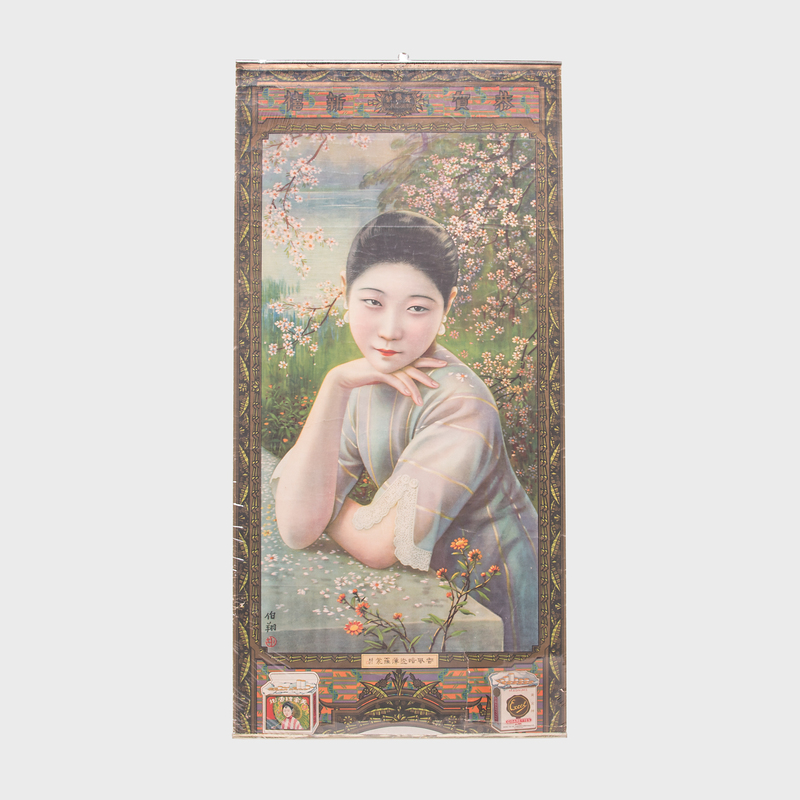 The blend of styles reflects the influence of Western advertising and the Art Deco movement on Chinese culture during the economic boom of early 20th-century Shanghai. 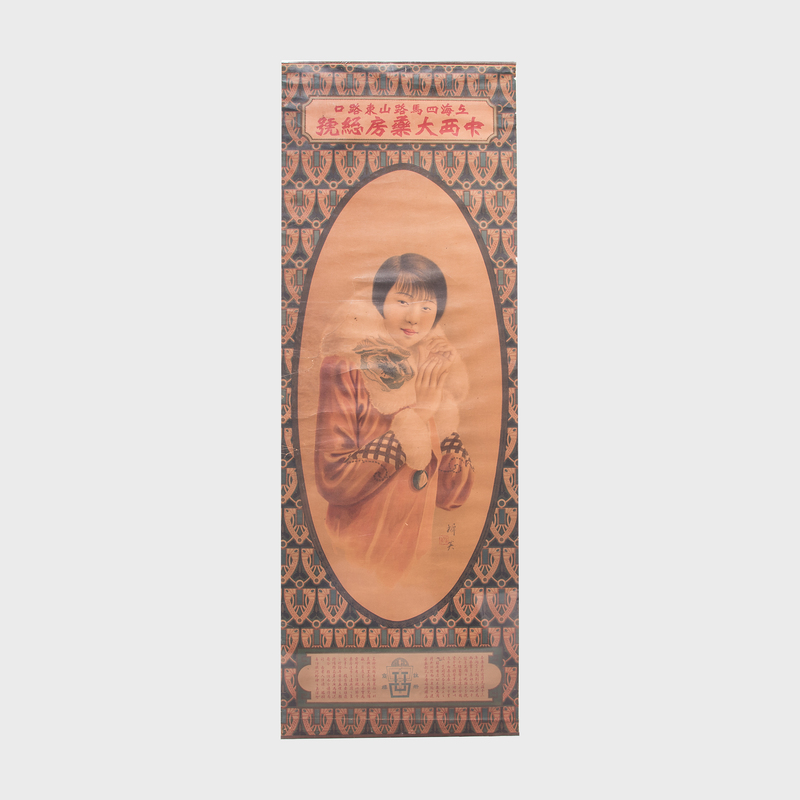 Today, posters like this are prized by collectors and preserved in museum collections both for their artistry and for the unique glimpse they give of the past.